Panoramic photo of Lake Atitlan, Guatemala by Nicholas Hellmuth. FLAAR Photo Archive with Better­Light Pano/Wide View provided courtesy of BetterLigtht. -Evaluation of large format printers, scanners, and high resolution digital cameras. -Presentations at major trade shows, world-wide. Our work in digital imaging is to enable FLAAR to be a pre-eminate resource for museums, universities, schools, and individuals to be able to understand which digital imaging technology can assist them in their business. Here is Dr Hellmuth in the Durst headquarters in Europe, evaluating UV-curing technology as a new and improved manner of printing large images. 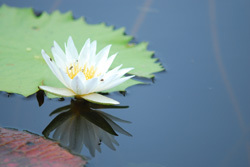 These test photographs result from FLAAR evaluations of advanced digital cameras such as the 22-megapixel Phase One P25+ and the 48-megapixel BetterLight. FLAAR has performed research on laminators and some laser printers. There is also research with scanning technology as FLAAR continues the archiving project of Dr. Hellmuth's extensive Mayan photo collection. FLAAR would love to answer every question that comes to us from our readers; however our staff is limited and there are only so many hours in a day to perform research needed to keep the reports current with the industry. 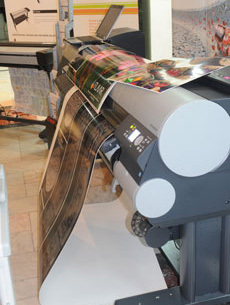 At this time our main focus is UV flat-bed printers, Fine Art Giclee, Solvent and Eco-solvent, and Wide Format Inkjet. These industries are developing rapidly and FLAAR wants to ensure our readers get the most up-to-date information possible. FLAAR hopes to return to our other areas of focus (scanners, laser printers, laminators, etc) in the coming future. 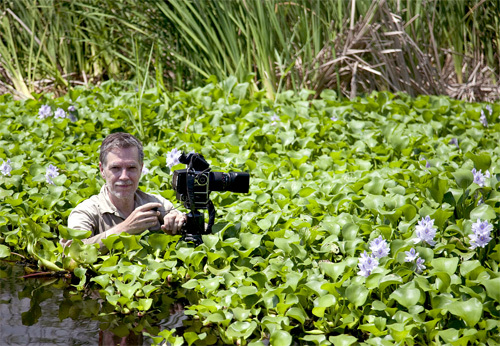 Here is Nicholas Hellmuth underwater photographing Water hyacinth flowers. 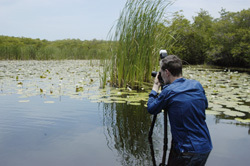 Nicholas uses a Phase One P 25+ medium format digital camera back on a Hasselblad ELX camera. 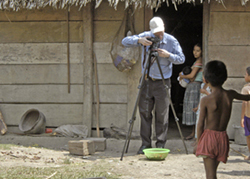 Monterrico, Guatemala 2010. 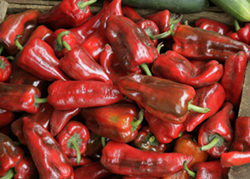 Much of our research in 2007-2008 was devoted to digital imaging of Maya ethnobotany, namely the edible and utilitarian and sacred plants and flowers of Guatemala, Honduras, Belize, and Mexico. 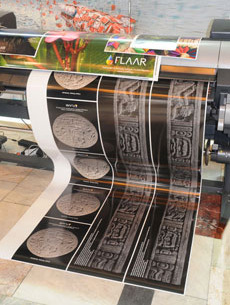 FLAAR digital imaging projects tend to be focused on Latin America. But since the use of 3D imaging is more advanced in other parts of the world, we are also learning from technology used in other parts of the world. 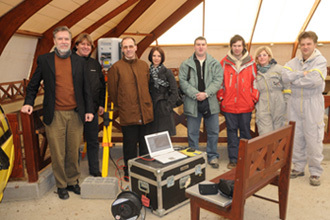 Here FLAAR is a guest of the team at Viminacium, a Roman archaeological project an hour from Belgrade, Serbia (March 2009). 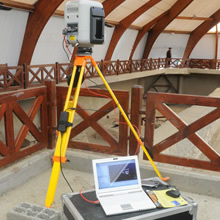 The instrument here is a Trimble GX 3D Scanner and mapping instrument, more sophisticated than what is used on most pre-Columbian sites. FLAAR thanks the project team in Serbia for making this visit and technology demonstration possible for us. 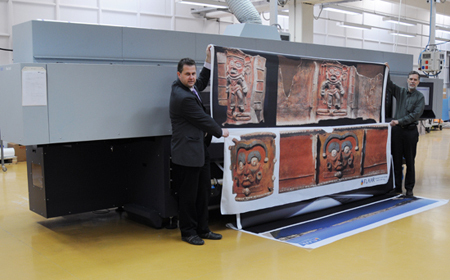 Canon iPF 9000S printer, at Belgrade Serbia, printing some examples of Maya iconography.